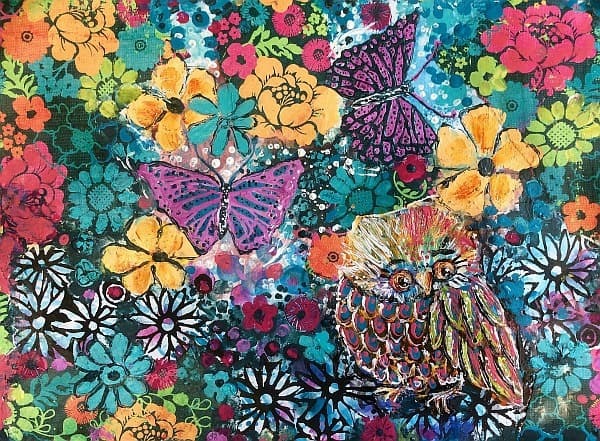 An Intuitive Artwork by Cheryle Bannon: Small Spaces is about a cute little whimsical owl is exploring the small details in her world while the flowers and butterflies surround her. It’s moments like these when we realise how precious these spaces are in our busy worlds. The world will be waiting for you when you are ready to return. Small Spaces evokes a sense of wonder and delight as the small owl is surrounded by a sea of flowers.